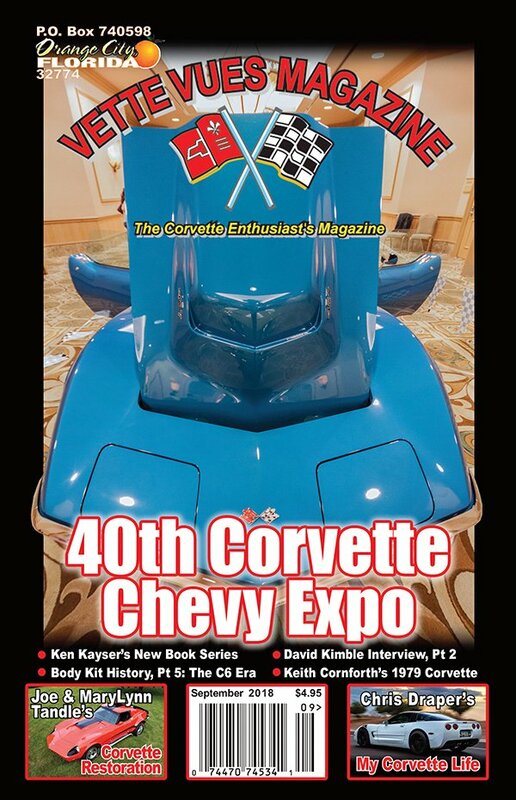 In the September issue of Vette Vues Magazine, we have special coverage of the 40th Corvette Chevy Expo on the beautiful island of Galveston, Texas. You will certainly want to read about a remarkable man, Chris Draper, and his Corvette Life. Check out Joe and MaryLynn Tandle’s remarkable before and after of their Motion Performance Corvette. Wayne Ellwood continues with the C6 Era of Corvette Body Kits. Scott Teeters gives us more insight into David Kimble and his talented work. Wayne Scraba brings us more tech articles and part two of How to Turn Junk into Cash! Al Knoch shares some tips on custom Corvette interiors. Clive Branson brings us a human-interest story and some of his fabulous photography as he shares Keith Cornforth’s 1979 Vette. We also enjoy Wayne Ellwood’s coverage Canada’s Fleetwood Country Cruise-In. 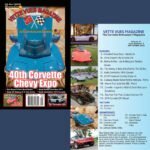 You will also want to check out the Corvette classified ads as well as Bill Landis and Jim Prather’s coverage of Corvette models and toys. It’s again another jam-packed issue! Ken Kayser releases his new book series Legend or Myth & Zora’s Marque of Excellence. We have a limited number of back issues in our store. 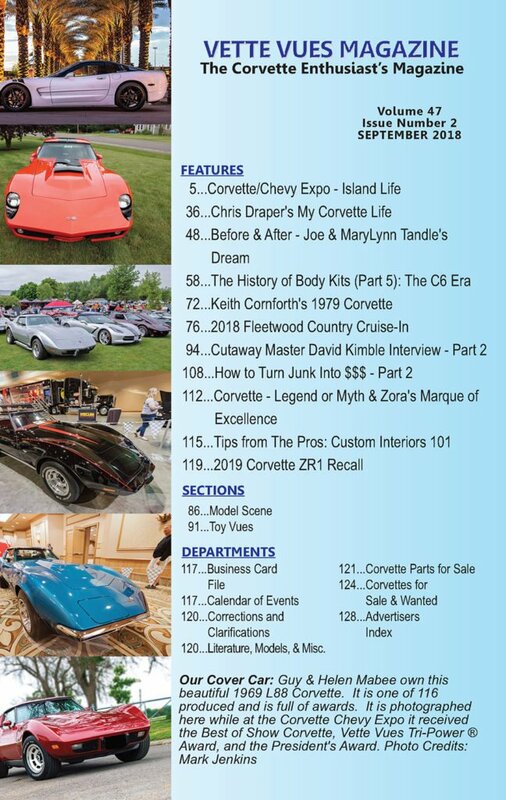 If you don’t find what you are looking for make sure to check out the Corvette Classified Ads available in the back of your magazine as well as online. Here is the LINK TO THE STORE. Tags: September 2018 ISSUE VETTE VUES MAGAZINE	.